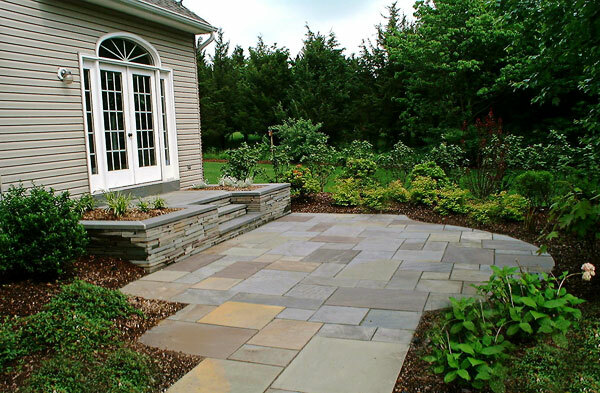 The patios below are made of bluestone, which can be dry laid or set in concrete as done here. 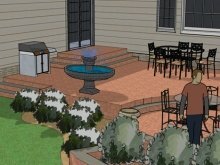 The first raised patio picture shows two levels while the second one shows a main patio with an upper landing. Both transition well. This is a two level patio in New Jersey, complete with seat wall, which makes for an interesting design. 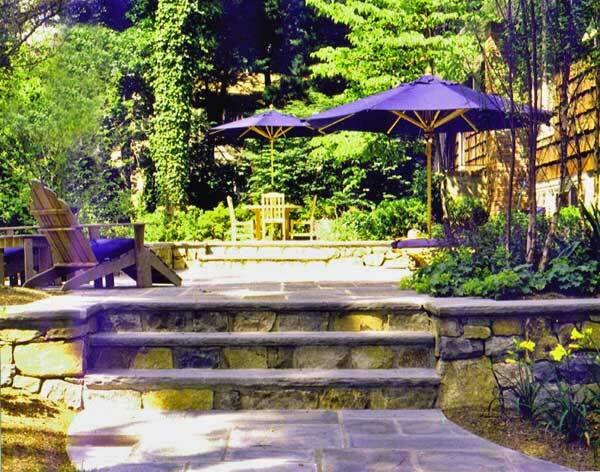 All natural stone was used in the patio, steps and walls. 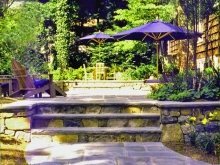 The integration of trees into the patio itself provides for shade and softens the space. 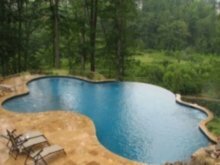 This patio has a wide and comfortably deep landing which creates a nice transition to the main patio. The patio is dry laid bluestone, patterned. The color of the bluestone is called Full Range due to slight changes in color. If you wanted to, you could also use the color called All Blue. 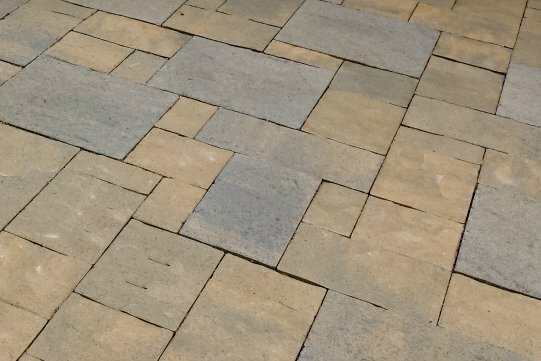 Should you go with the dry laid method or set your stone in concrete? I prefer dry laid for various reasons. The joints in dry laid stone will never crack as concrete can (especially in NJ). 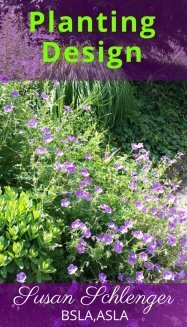 It is a less expensive application. The finished design can look just as nice as the project shown here. It just looks a little different.